These shortcuts are essential for full-screen writing. Memorize some of them and you'll be writing with much less distraction. 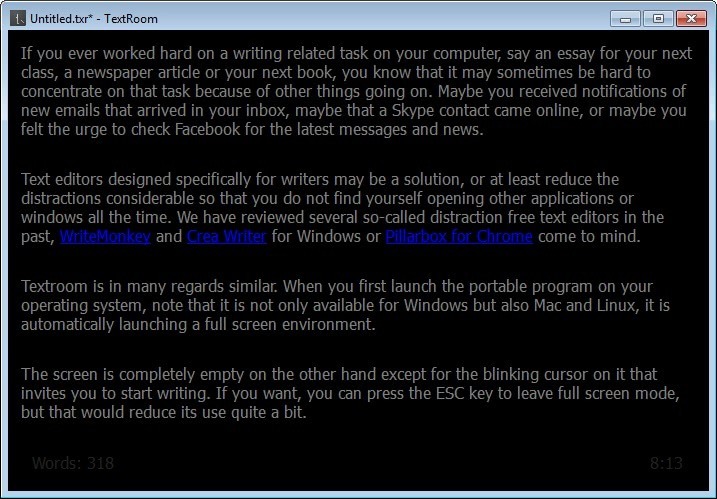 TextRoom is a free full-screen text editor. It's focused on writers, with a distraction-free environment and familiar keyboard shortcuts. TextRoom works under Linux and Windows. What is your favorite TextRoom hotkey? Do you have any useful tips for program? Let other users know below.